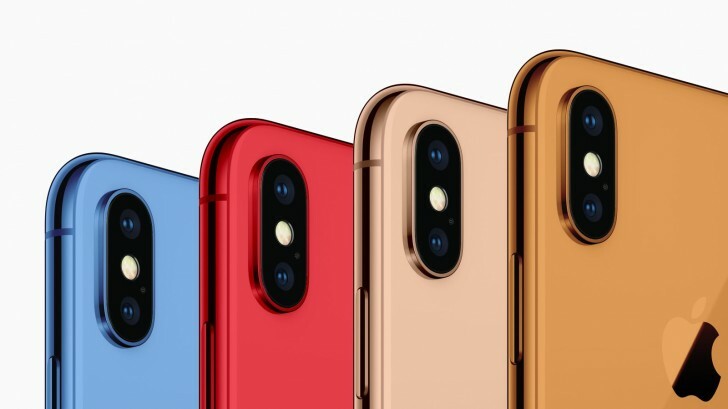 According to TF International Securities analyst Ming-Chi Kuo Apple will offer the 6.1-inch iPhone in Blue, Red, Grey, White and Orange and price it at $700. This means that Apple will introduce new Blue and Gold colors, assuming the Grey refers to the current Space Grey and White refers to the current Silver and Red is the Product (Red). It could also mean that Apple will release a standard Red variant of its 6.1-inch iPhone and not a Product (Red) one. According to Mr. Kuo the 6.5-inch iPhone will match the price of the current iPhone X – $1000 – which could push the upcoming upgraded 5.8-inch iPhone down by at least $100. A new Gold color option will be added too – the iPhone X doesn’t have one. So if we look at the complete picture then we can expect a 6.1-inch iPhone with an LCD, aluminum instead of stainless steel, a single camera and a choice of Red, Gold, Blue, Space Grey and Silver colors for $700. For around $900 there will be a new 5.8-inch iPhone with a dual camera, OLED screen and a choice of Gold, Space Grey and Silver colors. The top tier 6.5-inch iPhone will share those colors as well as the dual camera and will cost $1000.